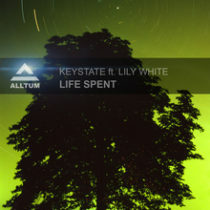 The guys from Keystate are back with their latest track: Life Spent featuring the amazing voice of Lilly White. A perfect groovy vocal track for your set to get the crowd moving. The package includes some hot remixes by Mark van Rijswijk, Damian S and a fresh new guy from South Africa: Gilles Dice. A really nice pack with a diversity of mixes in different styles.